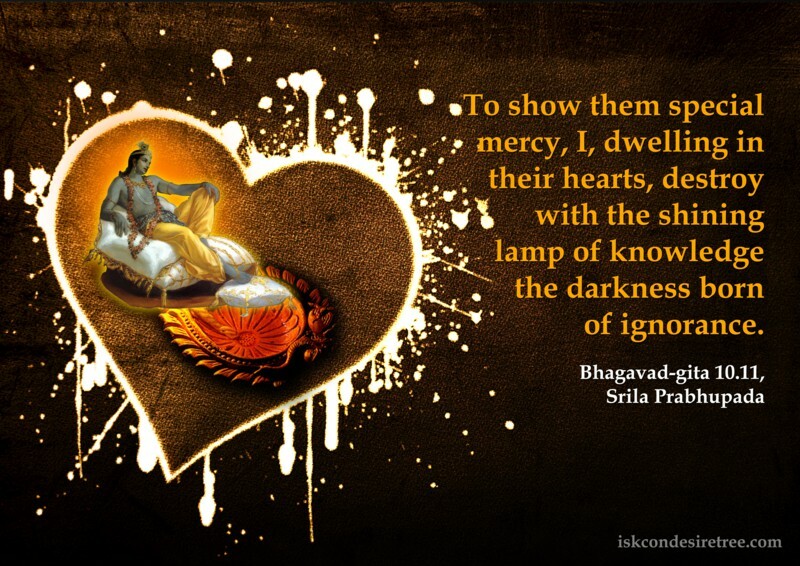 To show them special mercy, I, dwelling in their hearts, destroy with the shining lamp of knowledge the darkness born of ignorance. 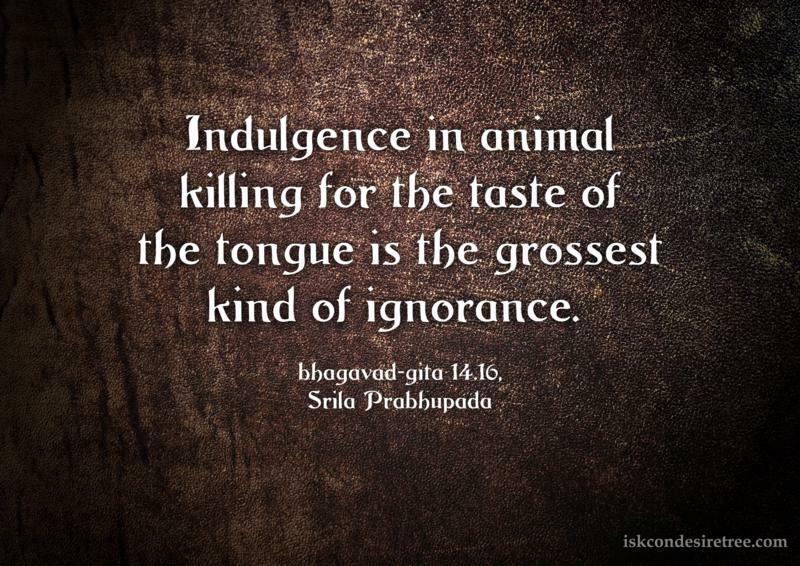 Indulgence in animal killing for the taste of the tongue is the grossest kind of ignorance. 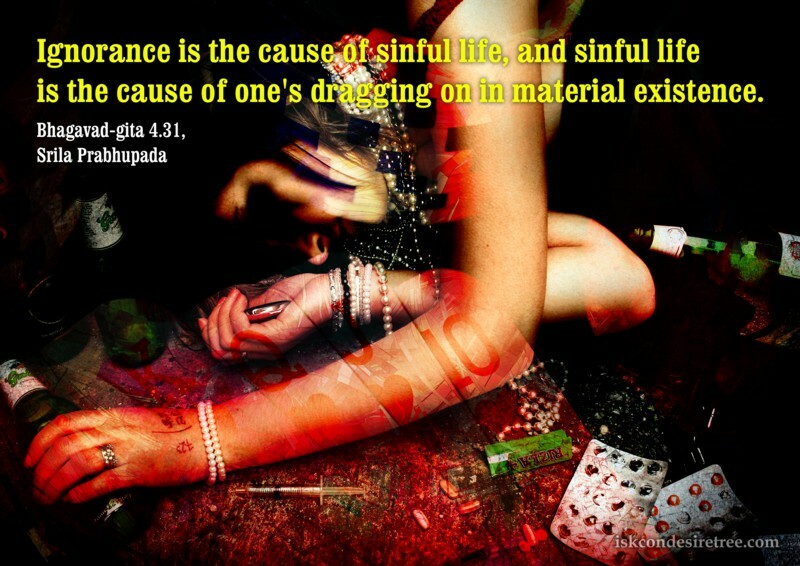 Ignorance is the cause of sinful life, and sinful life is the cause of one’s dragging on in material existence. 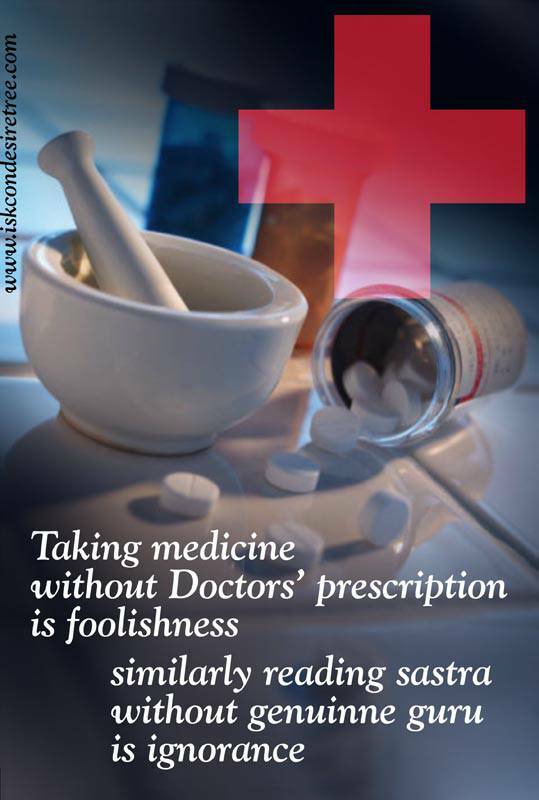 Taking medicine without Doctor's prescription is foolishness. 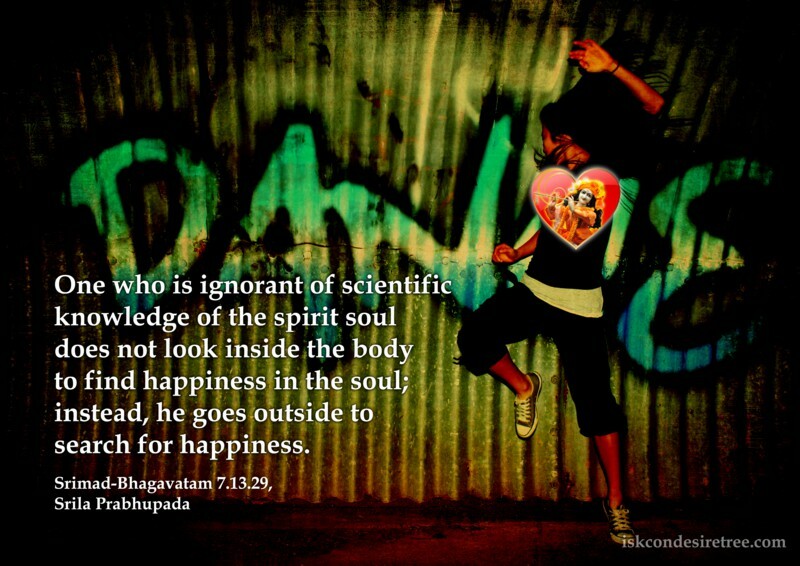 Similarly reading sastra without genuine guru is ignorance. 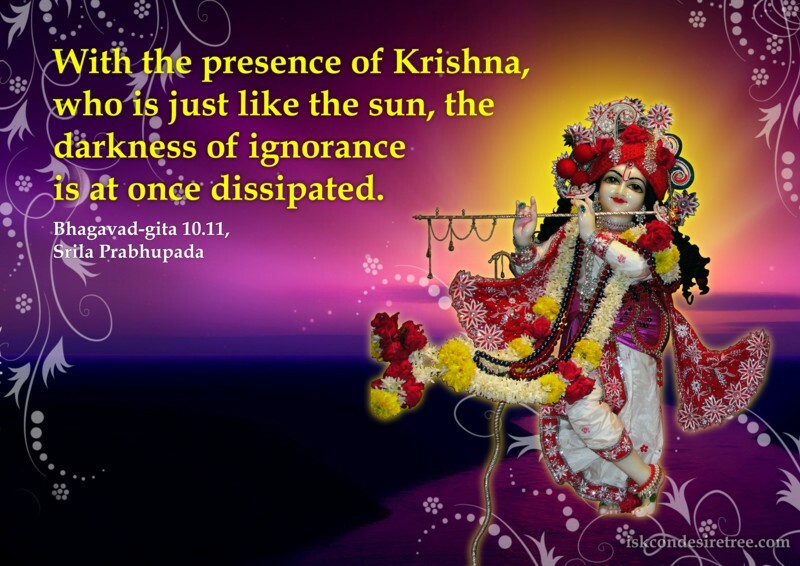 With the presence of Krishna, who is just like the sun, the darkness of ignorance is at once dissipated.